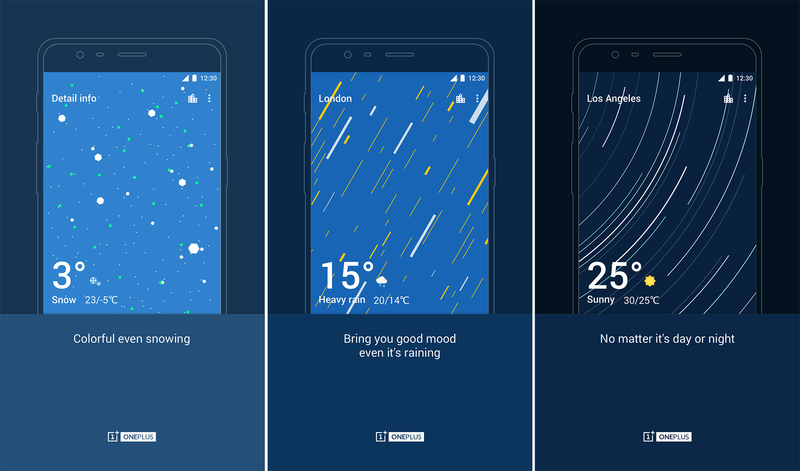 Newer builds of OnePlus' OxygenOS include a custom weather app. It's not as comprehensive as some apps, but it looks nice. Now, that app has arrived in the Play Store. It's only for OnePlus phones, but the company will be able to update it with new features without updating the whole phone. This first build in the Play Store includes a few changes, one of which is rather significant. Here's the changelog. Added an option to view weather forecast for the next 15 days. The addition of extended forecasts is nice to see. The OnePlus weather app is a little light on features, so every little bit helps. The rest of the changes seem minor. I would, however, like to call attention to the screenshots. They've got some excellent bad English translations. "Bring you good mood even it's raining" is a particularly good one. It's almost a Haiku if you put them all together. Bring you good mood even it's raining. No matter it's day or night.